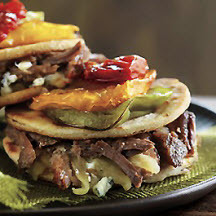 CooksRecipes has quality, kitchen-tested recipes for a large variety of quesadillas that you can count on for successful deliciousness. 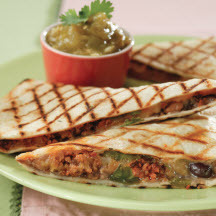 These scrumptious quesadillas are a great menu item for any outdoor gathering, including tailgating. 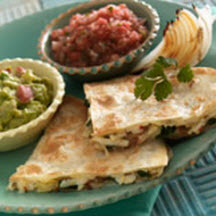 These cheesy quesadillas are bursting with flavor with ingredients like artichokes, avocado, spinach and tomatoes. By Chef Dean Fearing.